We offer home appliance solutions. Local Home Furnishings Dot Com can help you find the leading retail appliance stores and showrooms in your area. Local retailers not only offer the finest selection of appliances, but they have millions of dollars worth of in-stock inventory for immediate delivery of many of the best selling items. Visit a bricks and mortar showroom to see the merchandise in person, judge the quality, function and style for yourself, and get expert decorating assistance. Only local home furnishings retailers can provide the level of service you deserve before, during, and after the sale. Our showrooms, expert staff, and websites will help you find the perfect appliances to furnish your kitchen, laundry or wash room. We offer an impressive selection of styles, colors, brands, and materials, so you’re certain to find exactly the home appliance you’re looking for. Choose from a wide variety of Washers, Gas Dryers, Electric Dryers, Combo Washer Dryers, as well as Parts & Accessories. 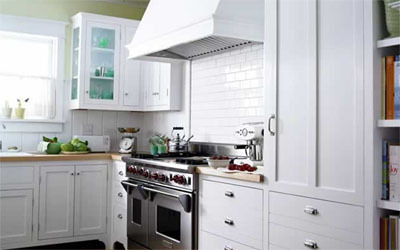 We have many Ranges, Cooktops, Gas stoves, Electric Ranges, Gas Ovens, Convection Ovens, Built-in Ovens, Microwaves, SpeedCook Ovens, Hoods & Vents to choose from. Browse our selection of Side by side Refrigerators, Refrigerators, Freezers, Ice Makers, Refrigerators with Water Dispensers, Traditional Refrigerators, Chest Freezers, Storage Freezers, Extra Large Refrigerators, and more.